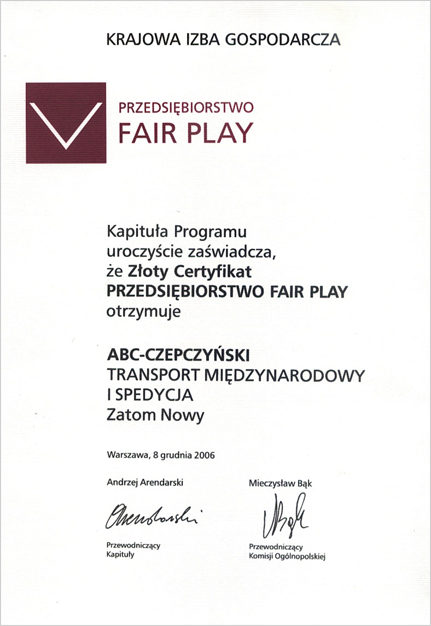 Our Company is managed by specialists in the field of logistics, who know everything about transport and forwarding. 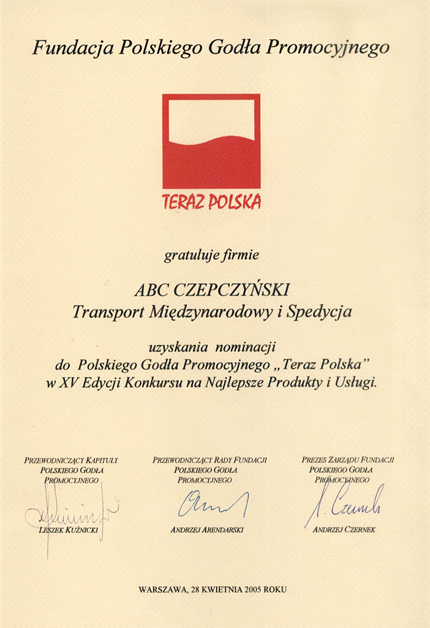 Thanks to their expertise, a professionally managed forwarding company was set up. It has been processing transport orders of all kinds, keeping competitive conditions at the same time. The staff of our Company consists of over hundred people responsible for executing the orders of our Customers. Owing to the implementation of a quality management system, we are able to guarantee a high and constantly increasing quality of our services. 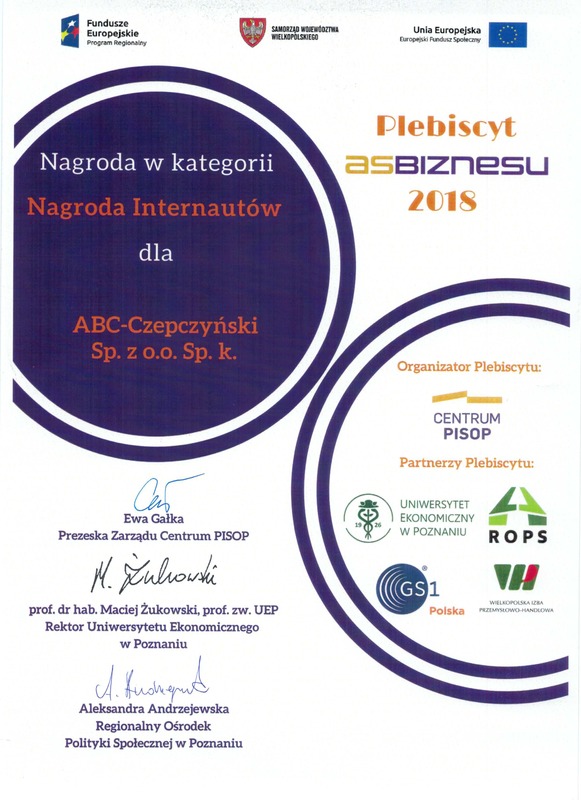 The proof of this is not only growing number of our Customers, but also, awards and certificates awarded to our Company. 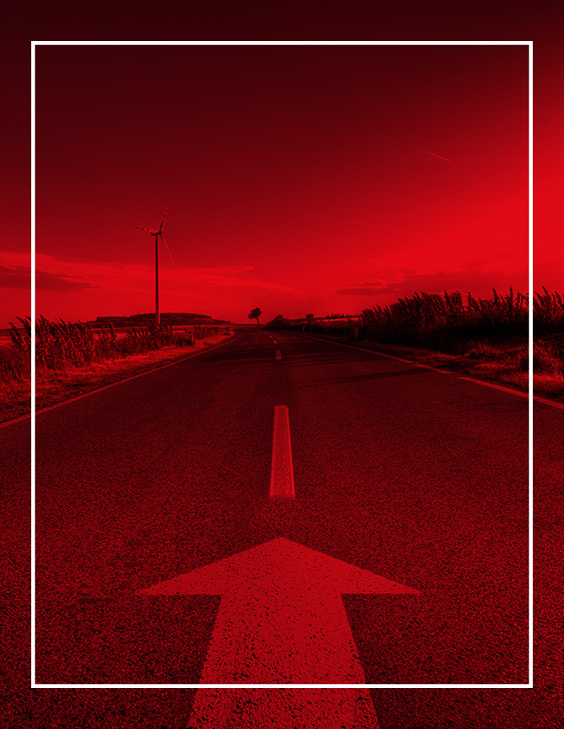 We are constantly developing ourselves by improving management processes and customer service. Thanks to continuous care about the quality of service, our Customers can feel comfortable and safe entrusting us with their cargo. We have every legally-required licence and certificate and an insurance policy for the sum of 300,000 EUR. 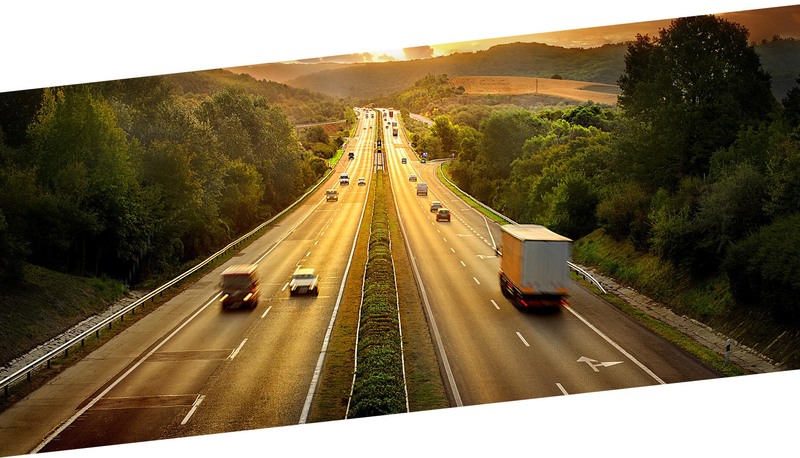 You can be certain that the cargo entrusted with us will arrive at its destination safely and on time. 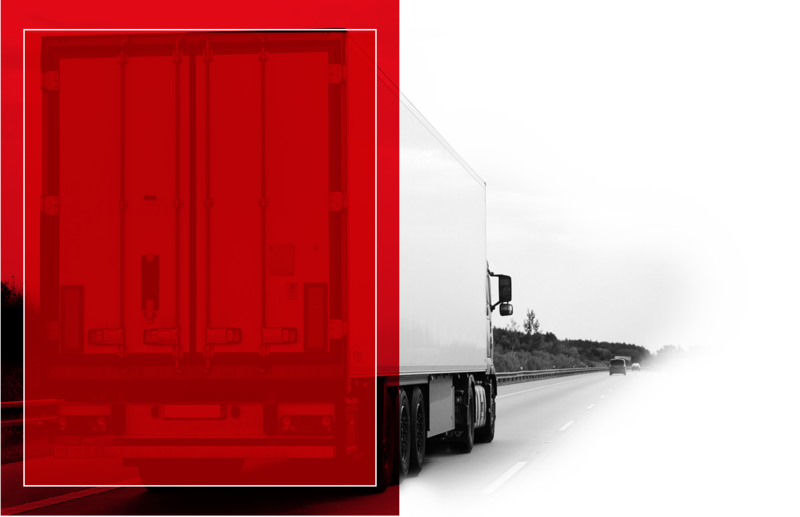 We are a family company that has provided forwarding services since 1997. Safety and satisfaction of our clients are guaranteed. Family and safety are values which matter most to us. Our goal is cooperation with those Partners for whom safety and quality of services are key priorities in the choice of a business relation. 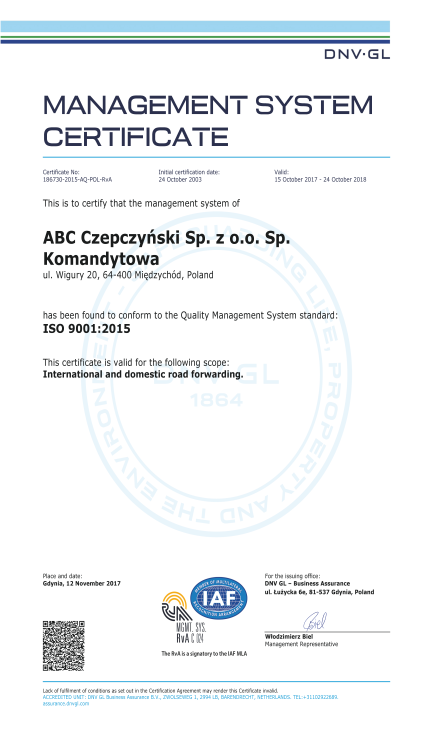 Implementing a management system in ABC – Czepczyński was based on the ISO 9001:2015 standard and also on the best practices in the logistic industry. In the course of implementing the quality management system, we have defined particular key processes, which determine the competitive advantage of our Company and increase the number of satisfied Customers. The most important processes in our Company are those in the field of collaboration with Customers and providing forwarding services, which determine the satisfaction of our Customers with the quality and performance of our services. 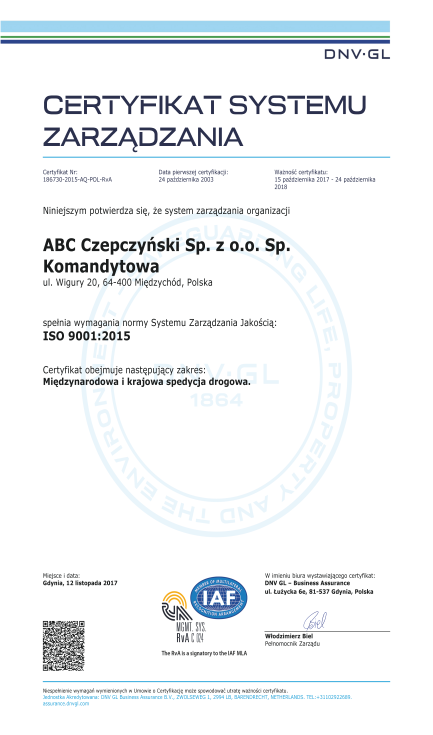 Responsibility for particular areas of the management system was assigned to individuals (Company’s directors) with competences and experience in their field, whose task is to supervise the effectiveness of the process implementation and building of the organisation as well as to improve operation in the areas they are responsible for. 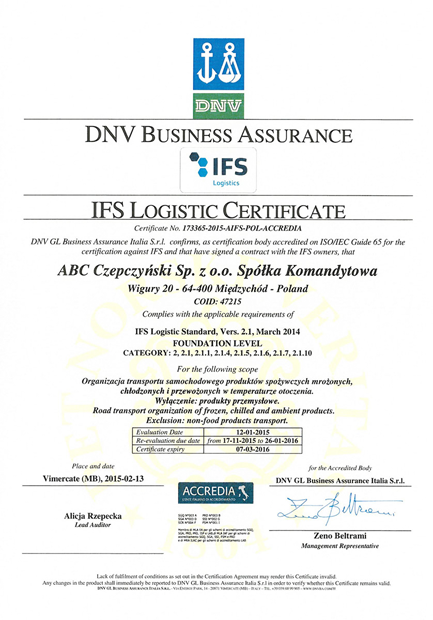 In January 2015, we successfully underwent an audit in the scope of IFS Logistic, which resulted in receiving in February 2015, an IFS certificate in the scope of transport and logistic services. The IFS Standard combines legislative requirements relevant to food safety, rules of good production practice, HACCP hazard analysis and also risk analysis within the framework of a single safety management, legal compliance and food quality system. It regulates as well the course of action relating to allergens and GMOs in accordance with the European laws currently in force. The IFS certificate standard constitutes one of the most important food safety and quality standards. 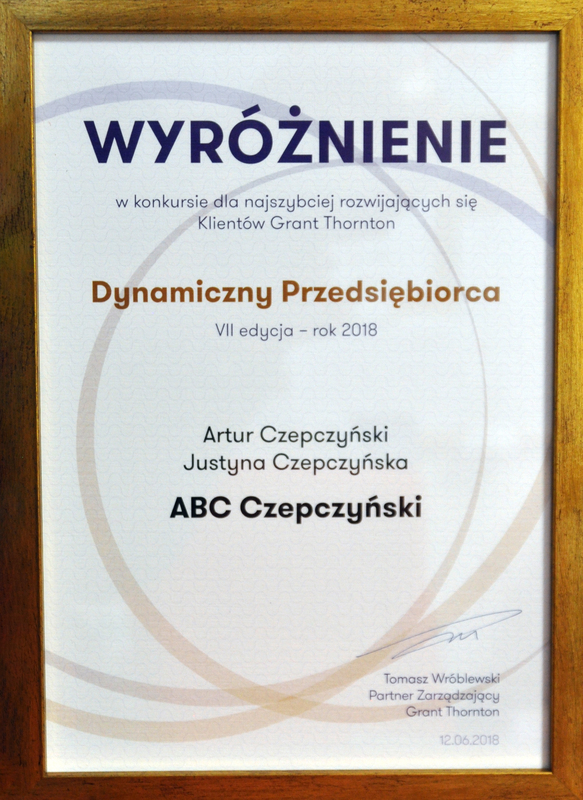 Czy CSR może być ważnym obszarem w firmie spedycyjnej? "Czego Jaś się nie nauczy, Jan będzie umiał". 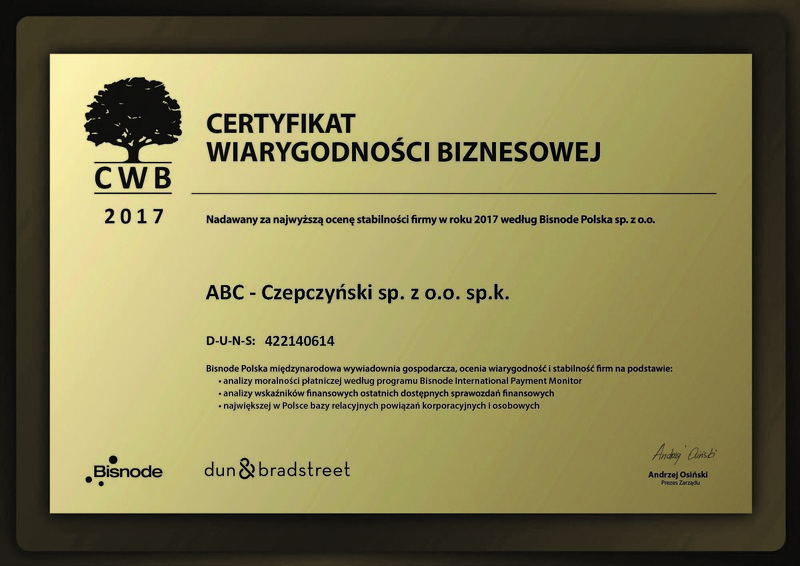 Co wiemy o edukacji finansowej młodych?